The memorial building on top of Vítkov Hill was built between the years 1928 and 1938 in honour of the Czechoslovak legionaries. 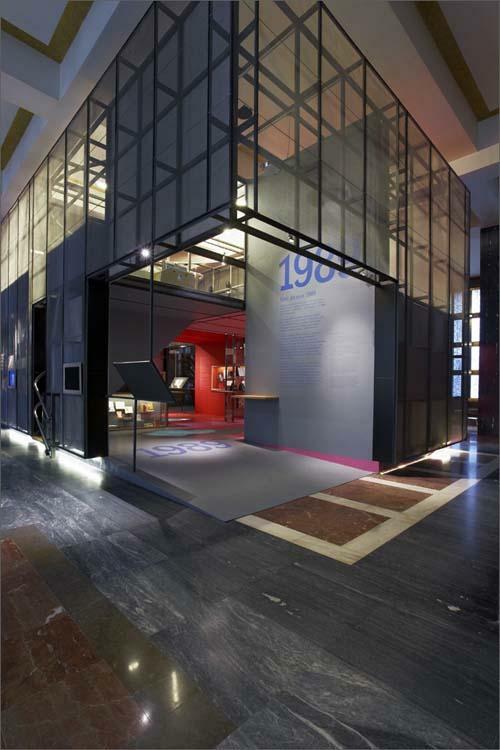 The exhibition "The Crossroads of Czech and Czechoslovak Statehood" captures significant turning points in the history of the 20th century. The monument also features the Tomb of the Unknown Soldier, a monumental equestrian statue of Jan Žižka, and a café with a panoramic view of the city. A battle took place on the hill called Vitkov on 14 July 1420, in which the Hussite troops led by Jan Žižka defeated the army of crusaders. To commemorate this battle, the hill became known as Žižkov. The first symbolic excavation for laying a foundation stone was made by Tomáš Garrigue Masaryk on 8 November 1928 and the construction works were initiated in 1929. The massive granite block paneled building was completed in 1932; the works on the interior decoration continued until 1938. The works on the nearly completed memorial were interrupted by the German occupation. During the World War II Wehrmacht used the premises as a storage space and they were significantly devastated. On 14 July 1949 remains of an unknown warrior fallen in battle at Dukla were brought here and placed in the sarcophagus in front of the Memorial. The tomb of an Unknown Warrior is covered by the granite slab with the national emblem and the inscription “Glory to heroes, who died for their country”. The original First Republic emblem created by sculptor Otakar Španiel was replaced in 1962 with the socialist emblem created by Jiří Pradler. In August 1997 the copy of Španiel´s emblem by sculptor Vladimír Oppl and Martin Ceplecha was fitted into the place. The bronze entrance doors are the work of sculptor Josef Malejovský, decorated with reliefs, of which six are devoted to the Hussite era. The entrance consists of a ceremonial hall with top lighting, the largest organ in the Czech Republic and marble tiles. From there you can enter into lounges. On 22 June 1954 the Mausoleum of Klement Gottwald had been established here, which was repealed on 30 March 1962 (every night 70 doctors and cosmetics cared for the embalmed body; the operating room was in the basement). The sarcophagus of Klement Gottwald is located in the middle of the central hall (under the ceremonial hall); along the room walls there are other 10 sarcophagi and a number of tombs. 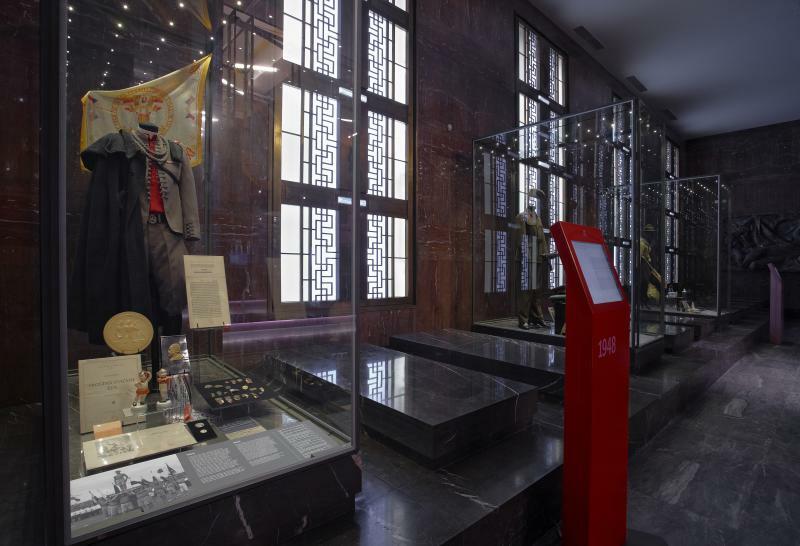 The remains were placed in a memorial at the discretion of the CPC Central Committee – it was nearly 50 urns, including the remains of presidents Klement Gottwald, Antonin Zápotocká and Ludvík Svoboda. After 1990 some remains were returned to families; the other remains, in which survivors had expressed no interest, were sent to the CPC, which buried them in a common grave at the Olšanské Cemetery. 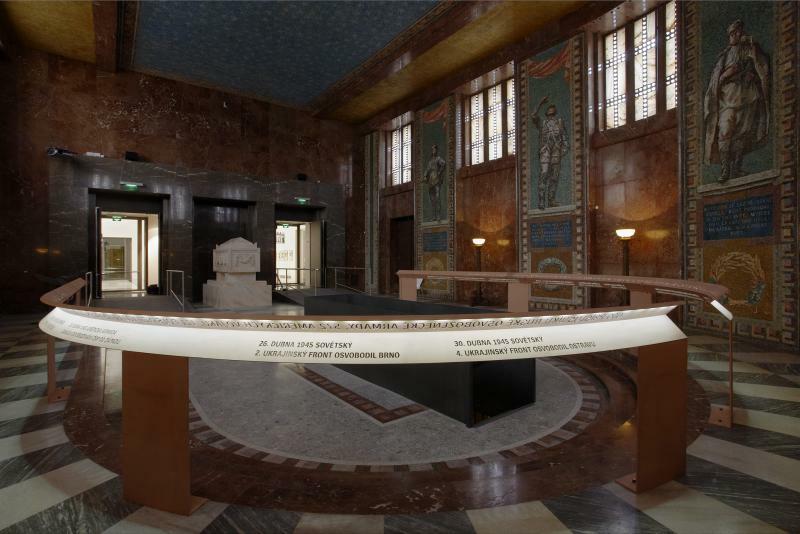 Above the entrance to the central hall there is a mosaic called Where Is My Home by Jakub Obrovský and in the corners of the hall there are reliefs of warriors fallen in the World War I by Karel Pokorný. 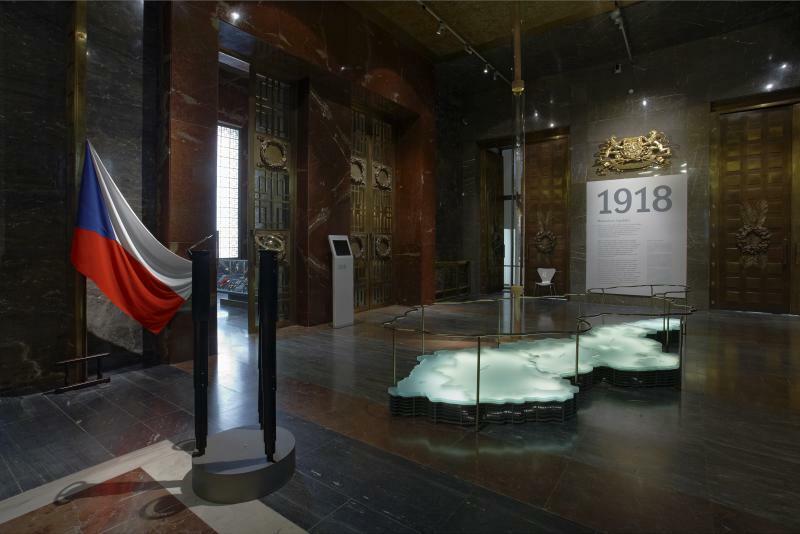 Hall of fallen warriors, also the Czechoslovak Legion Hall (to the left of the central hall) is dedicated to warriors of the World War I and World War II; their urns with earth from mass graves are placed under the floor. The walls are decorated with mosaics by Max Švabinský verses by Vítězslav Nezval and Slivenec marble. In the room there is a statue called Wounded by Jan Štursa and candlestick by Jaroslav Horejc. In the columbarium (next to the central hall) there are four marble sarcophagi, figural candlesticks by Jaroslav Horejc and verses on the walls by Jan Neruda. 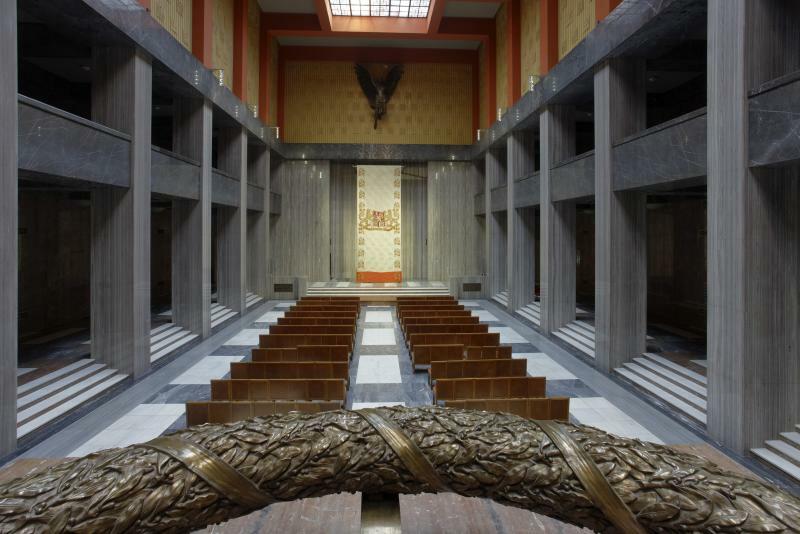 Hall of the Soviet Army, which was built additionally in the form of the apse in 1955, is lined with marble; the bronze door with relief decoration is the work of Jan Kavan and Jan Simota. The sarcophagus contains remains of an Unknown Soviet soldier. On the walls there are mosaic murals by Vladimír Sychra together with verses by Vítězslav Nezval beneath. In front of the Memorial one of the largest bronze equestrian statues in the world was unveiled in 1950 - a monument of Jan Žižka, the work by Bohumil Kafka, who had worked on it since the time of the First Republic. The monument is 9 m high, 9.6 meters long, 5 m wide and weighs 16.5 tons. The statue was cast in 1946 by Václav Mašek company. Complex restauration of monuments was performedin years 2010-2011. In 1962 the National Memorial in Žižkov was declared a national cultural monument.